This apartment is in Richmond. Nearby parks include 7171 Minoru Blvd, Blundell Park and Brighouse Park. 7297 Moffatt Road has a Walk Score of 47 out of 100. This location is a Car-Dependent neighborhood so most errands require a car. DESCRIPTION: Move in today! 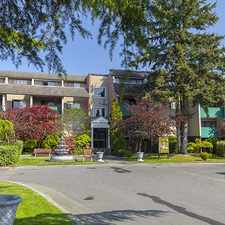 This sought after Bright 1 bedroom suite is situated in the area of Richmond High area. This unit offers 688 SqFt of living space and comes with skylight and hardwood floors. LOCATION LOCATION! Walking distance to Transit Bus Stop, Skytrain station, Richmond Centre, Library, New Aquatic Centre, Arena, City Hall and with nearby parks. NEARBY PARKS: - Minoru Park – Grand opening Swimming Pool. Explore how far you can travel by car, bus, bike and foot from 7297 Moffatt Road. 7297 Moffatt Road has good transit which means many nearby public transportation options. 7297 Moffatt Road is in the city of Richmond, BC. Richmond has an average Walk Score of 55 and has 190,473 residents.